Finally much awaited Mohanlal’s Villain released on 27th october with massive fan shows and pre-booking ever seen before in Malayalam. Everyone knows that Villain has been made a record on massive pre-release business which is up to Rs 10.5 crore. Including its satellites rights, Hindi dubbing and music rights. But as far as these biggie numbers question in most of us mind is that how much gross did Villain touch on Friday show, Well latest report says Villain break all the Malayalam Movie first day records and a set a new one with 4.91 Cr from Kerala. As per the business analysis it made around Rs. 7.50 crore in all India running. The higest opener in Malayalam had 270 screens across Kerala, and 150 outside kerala. Critic reviews for the movie have mostly been mixed but the rush in theaters is still huge. B Unnikrishnan’s directional experience and the technical brilliance of the movie are the major plus points apart from Mohanlal’s stellar performance. 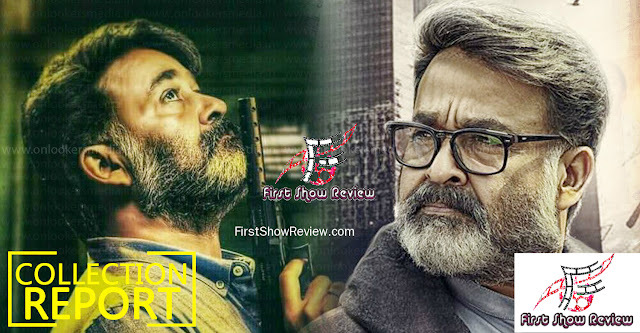 Villain is quite a different thriller from what we get to see in Malayalam movies. Vishal, Manju Warrier, Hansika Motwani, Raashi Khanna, Siddique, Renji Panicker, Chemban Vinod, Srikanth and Aju Varghese are part of the strong supporting cast. Manoj Paramahamsa and NK Ekkambaram have handled the cinematography and Shameer Mohamed was in charge of the editing. With the overflowing positive word of mouth and strong backing by Mohanlal fans, Villain is expected to continue its good run in the coming weeks also. Upcoming week Malayalam version will get release in outside India. And Tamil, Telugu and Hindi versions expected to release on the 3rd week of November.